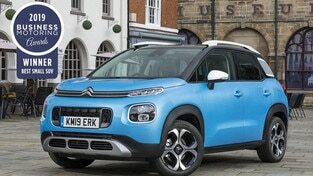 Citroën C3 Aircross claimed the ‘Best Small SUV’ prize for a second year in a row in the 2019 Car Buyer awards. Praised for being superbly practical, stylish and efficient, C3 Aircross SUV won over the judges who commended the vehicle for taking the Citroën Advanced Comfort programme onto the next level. 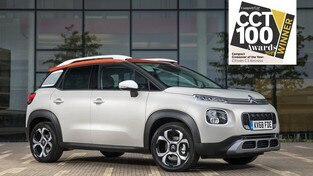 Citroën C3 Aircross Compact SUV has taken top honours in the 2019 Company Car Today CCT100 Awards, taking the ‘Compact Crossover of the Year’ top honour. C3 Aircross SUV was commended for its characterful design, incredibly competitive pricing and low tax payments for company car drivers, which makes it the stand-out car in its segment. Citroën C3 Aircross has been honoured in the 2019 Business Motoring Awards as the best Small SUV 2019. C3 Aircross SUV impressed the judges with its practicality and scope for personalisation. Announced late 2017 Citroën C3 Aircross Compact SUV won the "Best Buy Car of Europe" award at the AUTOBEST awards. Based on the highest number of votes from an international jury of 31 European countries, C3 Aircross came out on top after being assessed against 13 different criteria, including value-for-money, design and comfort. C3 Aircross achieved the coverted ‘Small SUV of the Year’ title at the prestigious Auto Express New Car Awards 2018. Applauded by the Auto Express jury for its unique personality, spaciousness and affordable pricing, C3 Aircross was victorious thanks to it focusing on parts of the driving experience that mattered to Auto Express buyers. 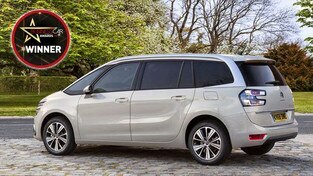 The 31 judges from 31 European countries were impressed by the spaciousness and practicality of the third generation Citroën Berlingo and stated that it stands apart as a smart buy for families or seniors, who will be impressed by the vehicle’s modularity, spaciousness and practicality. The New Berlingo was also praised for the strength of its modernised design together with its technologies and selection of latest-generation engines, bringing a true breath of fresh air to the leisure activity vehicle segment. 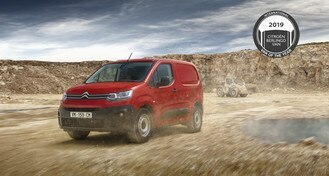 New Citroën Berlingo has been named ‘MPV of the Year’ at the prestigious What Car? Car of the Year Awards 2019. 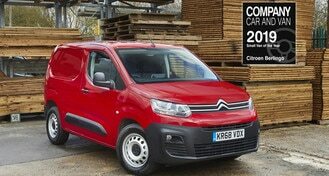 What Car?’s panel of judges recognised New Citroën Berlingo for its generous interior space, outstanding ride quality and competitive fuel efficiency. New Berlingo was also praised for its competitive price, fine economy and performance and high comfort levels which make it a great all-rounder. Recognised for its remarkable developments in terms of comfort and technology, with no compromise on functionality, New Berlingo Van was awarded with the International Van of the Year 2019. The judging panel of 25 journalists and independent magazine editors who specialise in Light Commercial Vehicles praised New Berlingo Van for its two sizes (M and XL), as well as its comfort and safety features. 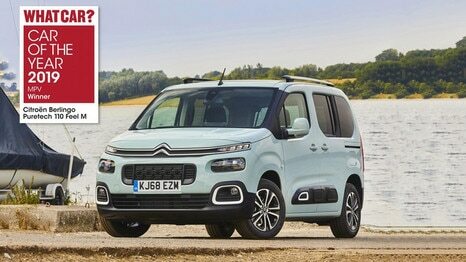 New Citroën Berlingo Van has won the coveted ‘Light Commercial Vehicle of the Year’ trophy and scooped the ‘Light Van of the Year’ at the What Van? Awards 2019. The What Van? judges were impressed by the quality, performance and practicality of New Berlingo Van, and praised the new driver assistance and safety system. New Berlingo was also applauded with having an excellent choice of engines with much-improved transmissions. 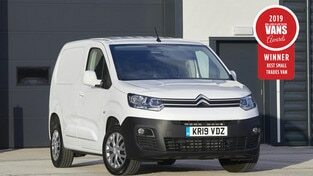 ‘Small Van of the Year 2019’ is the latest award presented to New Citroën Berlingo Van in the Company Car and Van magazine awards. The Company Car and Van judges highlighted the vehicles exceptional design, practicality and low fuel consumption. New Berlingo Van BlueHDi 100 S&S manual M 1000 Enterprise was crowned Best Small Trades Van in the Business Van Awards 2019. The judges were impressed by New Berlingo Van's lowest fuel consumption figures in its segment, the range of services offered to business and LCV customers and Berlingo Van's strong reliability reputation. 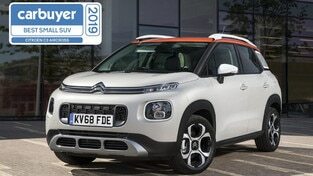 Citroën C4 Cactus Hatch won the ‘Comfort Award’ at the inaugural carwow ‘Car of the Year’ Awards ceremony. 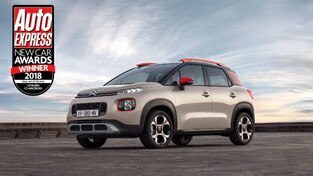 C4 Cactus Hatch was recognised for delivering the best comfort, style and practicality for a reasonable price. Most importantly, C4 Cactus Hatch was praised for its outstanding driver and passenger comfort, achieved thanks to the full integration of the Citroën Advanced Comfort® programme, and the world premiere of the brand’s Advanced Comfort seats. 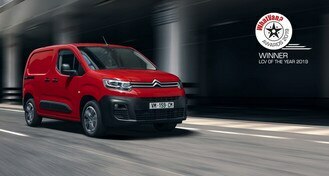 Business Van Awards "Best Green Van 2019"
Citroën Berlingo Electric van was named Best Green Van in the Business Van Awards 2019. Recognised for its minimal impact made by its electric drivetrain and were impressed that Citroën offers demonstrator vehicles, loan vans and host regular business to business events. 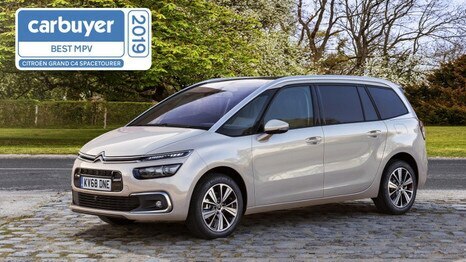 Citroen Grand C4 SpaceTourer scooped the ‘Best MPV’ at the 2019 Carbuyer awards, being recognised for its character, practicality and exceptional comfort. 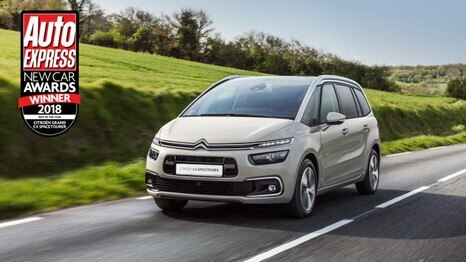 Citroën Grand C4 SpaceTourer was recognised for the fifth year in a row as ‘MPV of the Year’. 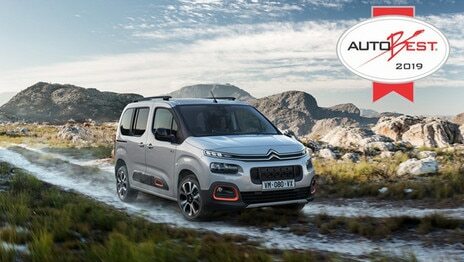 The Auto Express jury highlighted the class-leading practicality, strong design, character and levels of comfort. 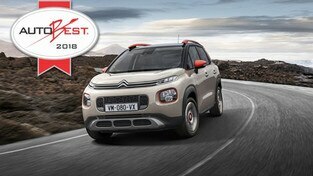 C4 SpaceTourer continued its winning ways at the CCT100 Awards to scoop the ‘MPV of the Year’ crown. C4 SpaceTourer was the compelling choice thanks to its stylish design and appeal, inside and out without sacrificing emissions and running costs. 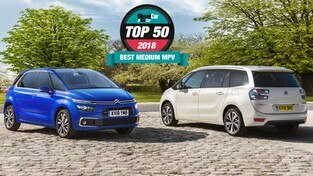 C4 Picasso and Grand C4 Picasso, jointly won the ‘Best Medium MPV’ award in DieselCar & EcoCar Magazine’s ‘Top 50’ for 2018. The models were praised for their practicality, modern styling and technology by the DieselCar & EcoCar team who tested more than 175 new cars over the course of 12 months in real-world conditions. 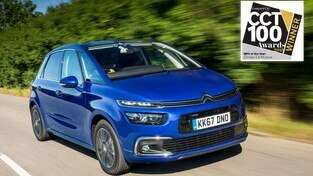 Grand C4 SpaceTourer was awarded "Best MPV Award" at the 2018 Business Car Awards. Grand C4 SpaceTourer won the award judged on solely on whole-life costs, determined by an experienced judging panel drawn from experts in the fleet sector.